Webmaster’s Note: There are many signs that the labor movement is growing disenchanted with the Democratic Party. While this sort of thing has happened before, notably after NAFTA under Clinton, there are factors that point to a real break. Never before has corporate money dominated the two major parties as it does today. Labor unions seem very much inclined to start running candidates for local and state office in an attempt to break down the embargo on pro-working class candidates in most states. This initiative will come from the labor unions themselves. What are the opportunities presented to a progressive and ballot-qualified party like the South Carolina Green Party? We can certainly help with an endorsement for a state level office. The challenges on a local level, include an absence of organization sufficient to overcome the straight ticket voting, certainly are serious. Yet, the times may be changing. The interest in local and independent politics from the nation’s largest progressive force is certainly welcome. By John Logan, writing for the Houston Chronicle. The left and right in American politics increasingly inhabit different planets. Perhaps this is nowhere more apparent than when it comes to labor issues. For the left, there is only one issue worthy of discussion — the no-holds-barred assault on public sector bargaining rights in Republican-controlled states all across the country. For the right, public sector unions remain an important target, but the real story lies elsewhere — the “astonishing abuse of power” by the Obama National Labor Relations Board (NLRB), which has just issued a complaint against Boeing for expanding production at a nonunion plant in North Charleston, S.C., rather than at a unionized one in Everett (near Seattle), in Washington state. DeMint called the decision a “government-led act of intimidation” against firms that choose to manufacture in the nation’s 22 right-to-work states – which outlaw union security agreements – such as South Carolina. The state’s other senator, Lindsey Graham, called the complaint “politics run amok.” Right-wing pundits have also expressed their outrage at the NLRB’s action, calling it the “persecution of Boeing” and accusing the board of helping “forced-unionism states” (non-right-to-work states like Washington) to “build a regulatory Berlin Wall around their borders to keep their businesses from leaving.” And they have demanded that the Obama administration act decisively to rein in this “out-of-control” government agency. None of these commentators have denied that Boeing engaged in the activity that is at the heart of the NLRB complaint. Boeing made the decision to expand production in South Carolina, it explained, in order to avoid the possibility of a strike at its unionized Washington plant. Rather, they believe that the law should not apply to a powerful corporation that is creating jobs in America rather than shipping them overseas. Boeing, of course, has already shipped thousands of jobs overseas – particularly to China, which is an increasingly important buyer for its planes – with its factories in Washington and South Carolina acting as final assembly plants for an increasingly complex global supply chain. Boeing also received enormous economic and tax incentives from South Carolina for agreeing to locate there and will benefit from lower labor costs in its nonunion South Carolina workforce. Finally, in retaliation against the NLRB’s efforts to enforce the law, congressional Republicans are threatening to cut its funding and gearing up to oppose the reappointment of its Democratic members, who are among the most accomplished members of the agency in decades. This is not the first time that Republicans have declared war on a Democratic NLRB but the vitriol in the “job destroying” accusations and threats of retaliation are more extreme this time round. The past few months have witnessed a ferocious assault on public sector unions at the state level. Now conservatives have extended that attack to the one federal agency that still cares about the violation of fundamental labor rights. If conservatives succeed in cowing the Obama administration on this issue, we may indeed be witnessing the last days of the labor movement in the United States. Logan is professor and director of labor and employment studies at San Francisco State University. Between 2000-2008, he was an assistant and associate professor of management at the London School of Economics and Political Science. Gov. Nikki Haley signed into law today a bill that will require all voters to have a photo ID in order to vote. The SC Progressive Network and other voting rights advocates have been fighting this unnecessary law for four years, arguing that it is a solution in search of a problem. The Supreme Court of the United States upheld the 2012 redistricting of South Carolina congressional districts. Ballotopedia has the maps as sumbitted online here: Redistricting In South Carolina. We will post detailed versions of the maps when they become available. For up-to-date information on plans submitted and the status of federal oversight please visit the following links. 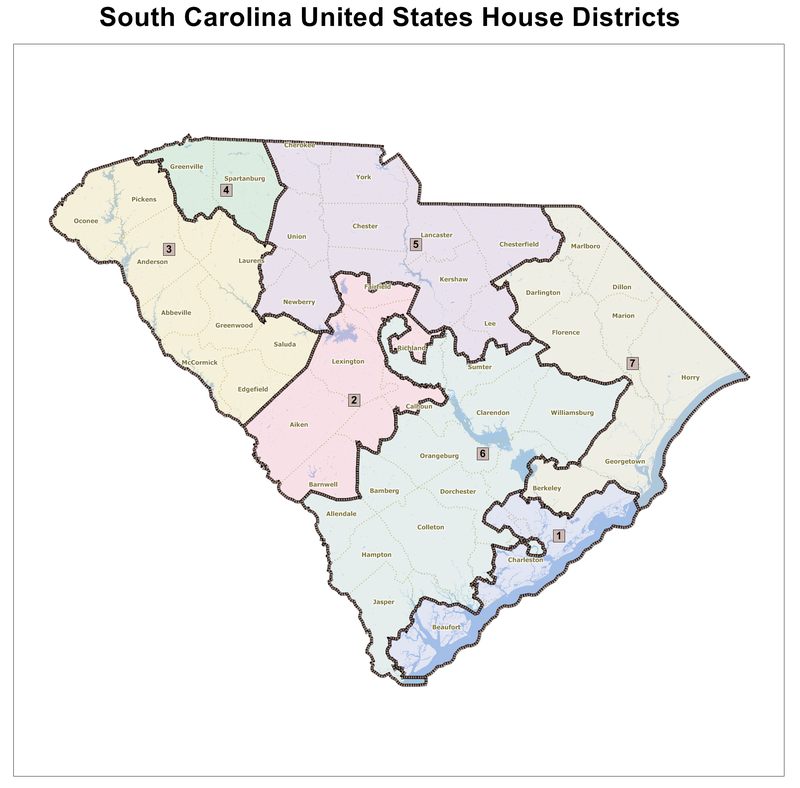 The South Carolina House of Representatives as released its draft plan for 2012 Congressional districts. Proposal of the SC House of Representatives Judicial Committee for 2012 U.S. Congressional Districts. The configuration around Columbia remains much the same, but there are significant changes. The 6th District, currently held by sole remaining Democrat Jim Clyburn, has moved Southwest and now takes in peninsular Charleston and James Island. Union County and a quarter of Laurens have joined the 5th District. The 4th District now consists of solely Greenville and Spartanburg counties, though without the rural and suburban territory below Simpsonville. This is not a bold move on the part of the Judicial Committee, though it will make the 5th District more conservative. It may also prompt some well funded South of Broad conservative to challenge Clyburn. We will post more about this later. As always there will be comment and criticism from the South Carolina media and political spheres. We would especially like to her plans for alternative methods of representation: Alternative Vote, Single Transferable Vote with or without multi-member districts, the D’Hondt method…how might these systems work in South Carolina? We occasionally feature letters to newspapers written by members of the South Carolina Green Party. These letters indicate the opinions of the opinions of Green Party activists or supporters and should be considered as a way to further debate on topics of importance to the people of our state. Charleston’s Post and Courier published the following letter concerning the Amazon tax-exemption controversy on Friday, May 13. For more background on the dispute, please see this column from the Columbia Free Times and this article from the May 1 issue of The State. During the first several months of her administration, Gov. Nikki Haley has done very little for which the Green Party can commend her. 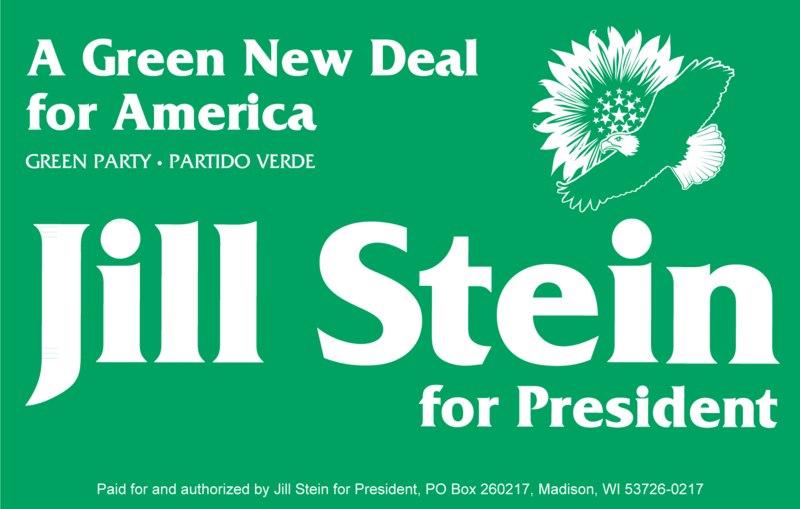 Indeed, almost all her official acts have been contrary to our progressive party’s Ten Key Values (see www.gp.org). However, in the spirit of that old saying, “Give the devil her due,” we salute Gov. Haley for taking a stand against corporate welfare with regard to Amazon.com. In this instance at least, she acted fairly and responsibly in opposing an unwarranted sales tax break for Amazon.com at the expense of almost every other business in South Carolina — large and small. Eugene Platt is a member of the South Carolina Green Party steering committee and and an elected member of the James Island Public Service District. The sales tax collection exemption offered to Amazon is of course related to the ongoing debate about South Carolina’s inefficient and ad hoc system of tax exemptions. The inefficiency and inequality of the current tax system has been assailed by forces as disparate as the South Carolina Progressive Network and the state Chamber of Commerce. A 2010 special Tax Realignment Commission convened by the state legislature to examine reform of the tax system was hobbled by the requirement that it produce revenue-neutral recommendations – that is the commission was told it couldn’t recommend ways to raise revenue. So the commission was forbidden from finding ways to fix the state’s financial crisis. The report produced by the commission was ignored by the legislature. Yet, the report is well worth reading. We host a copy of the final report on the South Carolina Green Party website here. Please join us for the annual state convention of the South Carolina Green Party in Columbia on Saturday, May 14st, 11:00 AM -4:30 PM. We will be meeting at the Happy China Restaurant, 2250 Sunset Blvd, Columbia, 29169, 803-796-7477. Tom Clements, regional coordinator for Friends of the Earth and 2011 candidate for Senate of the South Carolina Green Party, will be honored at the event in acknowledgement of his historic performance in the general election. Tom consistently campaigned on issues that matter to the people of South Carolina and the nation: ending the wars abroad, using the savings from cuts in military spending to support necessary social services at home, and developing a clean and sustainable energy policy. With significant public support, well-earned name recognition and successful fund-raising, Tom obtained 121,472 votes, an historic high for a progressive in South Carolina and the highest third party result for any U.S. Senate candidate in 2010. A generation ago, with the disintegration of the Soviet Union and other similar events, the world faced a unique opportunity to leap beyond ideologies and cultural differences and lay the foundation for brotherhood and peace. Instead, leaders worldwide stepped back from the brink of the unknown and retreated into nationalism and sectarianism. As Greens struggle to build a viable alternative political party, it’s imperative that we understand the roots of the downward spiral that our society is locked in. While the problems we face are immense and worldwide, the path to follow begins in local communities. Cameron Lowery of Charleston will then speak on the imperative of addressing the neoliberal economic theories which create income inequality and price the public out of political participation. Attend the meeting and learn how to get involved with the South Carolina Green Party. Together we can change the politics of our state and create a better world for all.